Playing gigs, practice or sessions on a whim—The Pearl Roadshow does it all! Shipping right to your door! 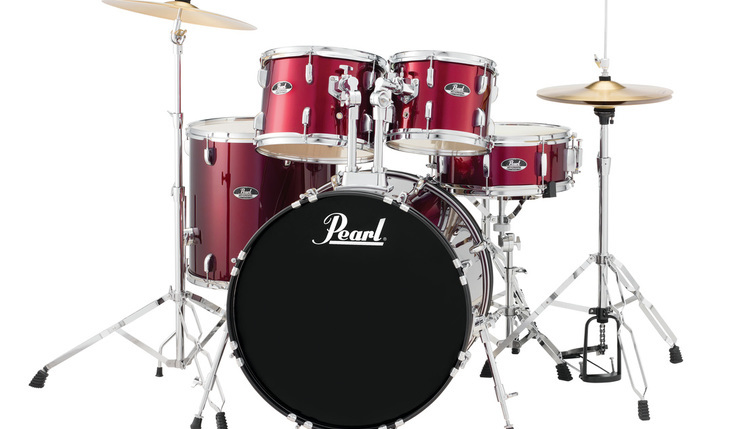 The best-selling drumset of all time, the Export Series by Pearl. Pearl’s updated Export Series offers a sonically advanced recipe of strategically arranged plies of premium wood to maximize frequency response of every component. As with all Pearl drums, each shell is formed from our legendary SST construction process that uses extreme heat, Precision-cut scarf joints, proprietary Acoustiglue and over 1000lb. of hydraulic pressure to create the ultimate acoustic air chamber. 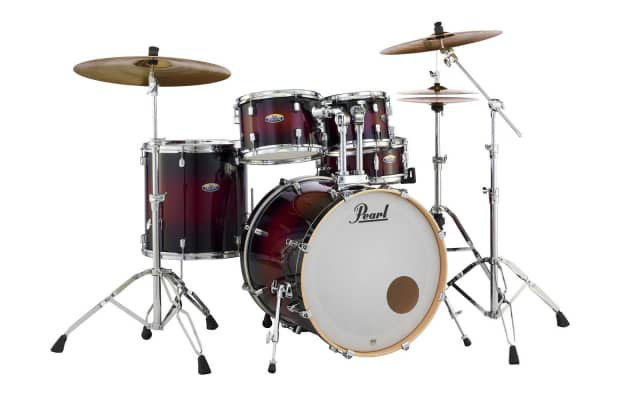 Pearl’s RF924XSP Reference Series Shell Pack takes a new approach to the concept of the drum set. Why didn’t anyone think of this before!!! 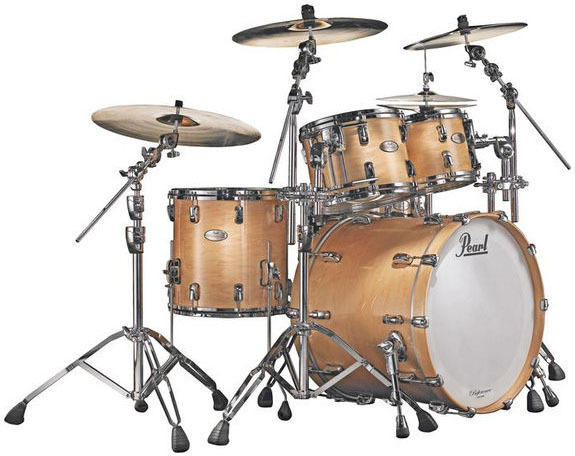 Pearl used different shell composition for different sized drums to optimize the sound of each drum in the set. Pearl created each drum as a unique instrument unto itself. The end result is a drum set that is more sonically matched than if it had been made with a single shell material. The 12 inch toms are composed of 6 plies of Maple. The only single wood shell in the series. Our 10″ and 8″ toms receive 4 plies of Maple with 2 inner plies of Birch for cut and attack. And for maximum response, all 13″ and smaller toms have a rounded 45° bearing edge. Beginning with 13″ toms and larger, Mahogany is added to the inner plies to increase the lower frequencies and accentuate the warmth of the Maple. The 14″ toms and larger begin using our fully rounded bearing edge for even more shell contact. Our 18″ and 20″ bass drums use 4 inner plies of Mahogany with 2 outer plies of Maple. As the size of the bass drums increase, so does the amount of Mahogany. 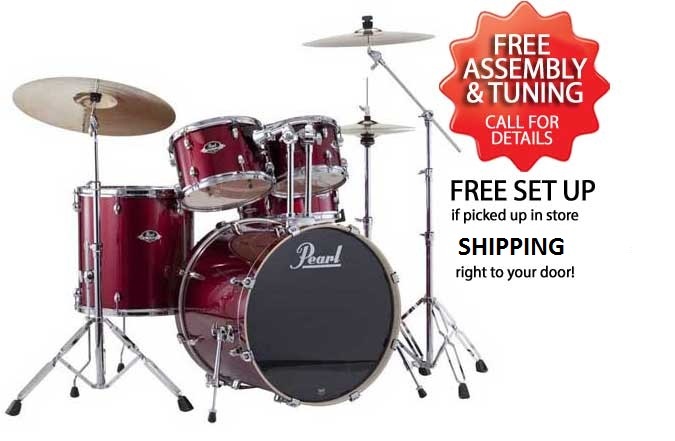 The 22″ and 24″ bass drums incorporate an amazing 6 inner plies of Mahogany surrounded by 2 outer plies of Maple for the ultimate in solid responsive bass frequencies. With Reference Series, it’s not about compromise; it’s about every drum in your kit performing at its optimal capacity. There are many custom finishes and sizes to choose from. So many, that we don’t have room to list them here. Call today to see what’s available.